Tulips are among the favorite spring flowers to give as gifts for house warmings, birthdays, anniversaries, Easter or for a loved one who's hospitalized. Botanists contribute new colors to gardens around the world every year as they continue to crossbreed the flower. Fifteen divisions of tulips now exist. Next to their beauty, their greatest mystery lies in their origin. Many people assume the tulip bulb grows wild in the Netherlands. They'd be surprised to find that the tulip's natural habitat is near the border of China and Russia. Those rocky, dry, mountainous regions are a stark contrast to the below-sea-level damp region of the Netherlands. The Dutch did an excellent job of adapting the tulip to their environment 500 years ago. The botanist Carolus Clusius worked in Vienna at the time. The Austrian ambassador to the Ottoman Empire, A. G. Busbequius, gave Clusius some tulip bulbs. Not long after, Clusius moved to Holland after accepting a job at the University of Leiden. He took the tulip bulbs with him and the Dutch tulip was born. The tulip got such a welcoming in the Netherlands that it soon became a commodity. Speculation in tulips lost many Dutchmen their fortunes, causing the government to intervene in 1637. The tulip bulb survived the crash and went on to become the national symbol and staple of the Dutch economy to this day. Tulips bulbs made their way around the world, and they're now grown in many different habitats. Far removed from their original rocky, mountainous native soil, gardeners have had to coax them into many different growing habitats. 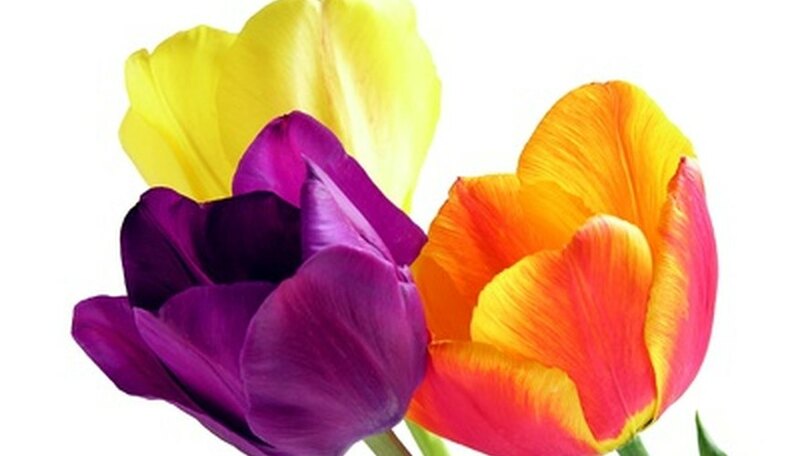 Tulips bloom from mid to late spring and reach a height of 4 to 2 1/2 feet. Plant them 3 to 6 inches deep and 3 to 6 inches apart in full sun and well-drained soil with a neutral to slightly alkaline pH (acidity). If you have the room, consider mass plantings of tulips in the same color. For the naturalized effect, toss the bulbs on the ground, and plant them where they lie. To further the naturalized look, plant them in a grassy area with spring wildflowers. Since the tulip's natural habitat was a rocky, mountainous region, try planting them in a rock garden.